The Academy faculty consists of former senior executives from several national security agencies, including the major intelligence agencies: CIA, DIA, NSA, NGA, NRO and State/INR. Each faculty member brings a wealth of detailed personal experience in dealing with the issues shared with our clients. Mark Lowenthal, President of the Intelligence & Security Academy has served as Assistant Director of Central Intelligence (ADCI) for Analysis & Production; Vice Chairman for Evaluation, National Intelligence Council; Deputy Assistant Secretary of State for Intelligence; and Staff Director, House Permanent Select Committee on Intelligence (HPSCI). Dr. Lowenthal is the author of the standard college/graduate school textbook on intelligence, Intelligence: From Secrets to Policy, now in its 6th edition (CQ Press). He also serves as an adjunct professor at the Johns Hopkins University. In 1988, Dr. Lowenthal was the Grand Champion on the television quiz show Jeopardy! Mike Munson has served as the Deputy Director, Defense Intelligence Agency (DIA) and as the Deputy Director for National Support, National Reconnaissance Office (NRO). He also served as Director of the Intelligence Program Review for DOD and as study director for the National Defense Panel. He was the Deputy Director for Plans for the Presidential Commission on the Intelligence Capabilities of the United States Regarding Weapons of Mass Destruction for the Executive Office of the President from 2004-2005. Margaret Munson has served as the Director of the Defense Security Service (DSS); Acting Deputy Assistant Secretary of Defense for Counterintelligence and Security in the Office of the ASD C3I for Command Control, Communications and Intelligence; and Deputy Director for Administration, Defense Intelligence Agency (DIA). Ms. Munson was a team member training the new senior officials of the Iraqi Ministry of Defense in Baghdad. She served as the Director for Analysis on the Independent Panel to review DoD Detention Operations, chaired by former Secretary of Defense, Dr. James Schlesinger. She helped develop counterterrorist training guidelines for the Department of Homeland Security. She served as the Director for Analysis for the Secretary of Defense Task Force on DoD Nuclear Weapons Management. She was the Study Director for Defense studies on the use of Chemical Weapons during Desert Shield/Storm. Bradford Bruton served for thirty-one years with the Open Source Center, the official Open Source collection arm of the U.S. Government with half of that time served in U.S. Embassies and military installations overseas. Mr. Bruton is a specialist in building Open Source collection platforms, especially for challenging targets. In his years with the Open Source Center, and its predecessor organization, the FBIS, he ran OSInt collection operations in several regions. He served as a Senior Intelligence Instructor and Senior Open Source Officer-in-Residence at the ODNI Open Source Academy. As one of the initial instructors of the ODNI-mandated “OS-101: Fundamentals of Open Source” he has presented training for the FBI, DIA, DHS, State Department, US Army Psyops School, NorthCom, SouthCom, PaCom, and other organizations. David Burpee retired from the National Geospatial-Intelligence Agency (NGA) in March 2009 after serving for 9 years as the Public Affairs Officer. He is a certified Adjunct Professor at the National Geospatial-Intelligence College. From 1965-1993, Mr. Burpee served in the U.S. Army as an Air Defense Artillery officer, including a combat tour in Vietnam; and several public affairs positions, including Director of Defense Information, Office of the Secretary of Defense. He served in this capacity as the senior military spokesperson for the Secretary of Defense and led the daily operation of the Pentagon Press Room. Robert Clark is an independent consultant performing space systems threat analyses for the Intelligence Community. He also is a professor of intelligence studies at the University of Maryland University College. He served in the USAF as an electronics warfare officer and intelligence officer; in CIA as an analyst and group chief; and was president and CEO of the Scientific and Technical Analysis Corporation (STAC) from 1984 to 1999. Dr. Clark published Intelligence Analysis: A Target-centric Approach, currently in its fourth edition. His second book, The Technical Collection of Intelligence, was published in 2010. 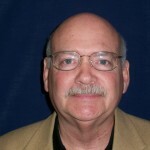 Dan Elkins is a nationally-recognized expert in defense and intelligence resource management. He is a retired naval intelligence officer and also served as an instructor of resource management at the Defense Intelligence College. 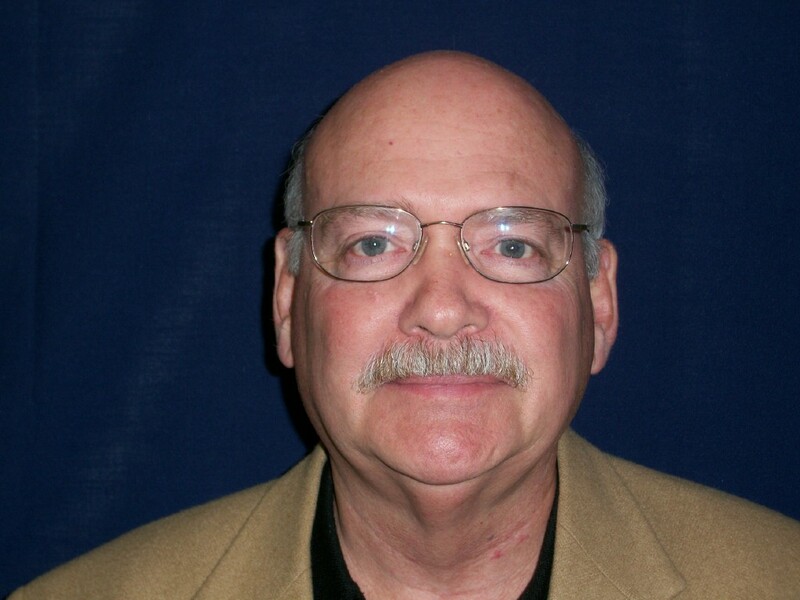 Mr. Elkins has trained over 9,000 military and civilian personnel throughout the U.S. Intelligence and Defense Communities in national security resource management issues. He is the author of Managing Intelligence Resources (currently in its third edition); An Intelligence Resource Manager’s Guide and Financial Management of Intelligence Resources: A Primer. This series of publications has served as the most authoritative consolidated reference on intelligence and defense resource management for the intelligence and defense communities. 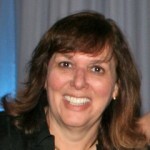 Lee Hanna has over thirty years of senior management experience at NSA, including management of its largest analytical component as Chief of SIGINT (signals intelligence) production for worldwide targets; Director of the National SIGINT Operations Center (NSOC); and Chief of Management Services. Ms. Hanna also developed NSA’s Instructor Training Program. Since leaving government service, Ms. Hanna has consulted for government agencies and private sector companies. Sarah Holcomb spent 26 years in Government Service. She served as an international trade specialist at the Department of Commerce before joining the CIA’s National Clandestine Service (NCS) in 1981. She served in a number of CIA stations in the Middle East and Latin America. Ms. Holcomb became an Operations Officer in 1992 and served as Deputy Chief of Station in the Middle East and in Europe and Chief of Station in Europe. At CIA Headquarters, Ms. Holcomb served as Special Assistant to the Deputy Director for Operations (now DD/NCS); Chief of Reports of the NCS’s largest reporting component; Humint specialist liaison officer at State Department/INR; Chief of Operations for a new joint Humint-technical targeting and collection operations element; and Chief of the NCS Clandestine Humint Collections Center for the Deputy Chief/NCS for Community. 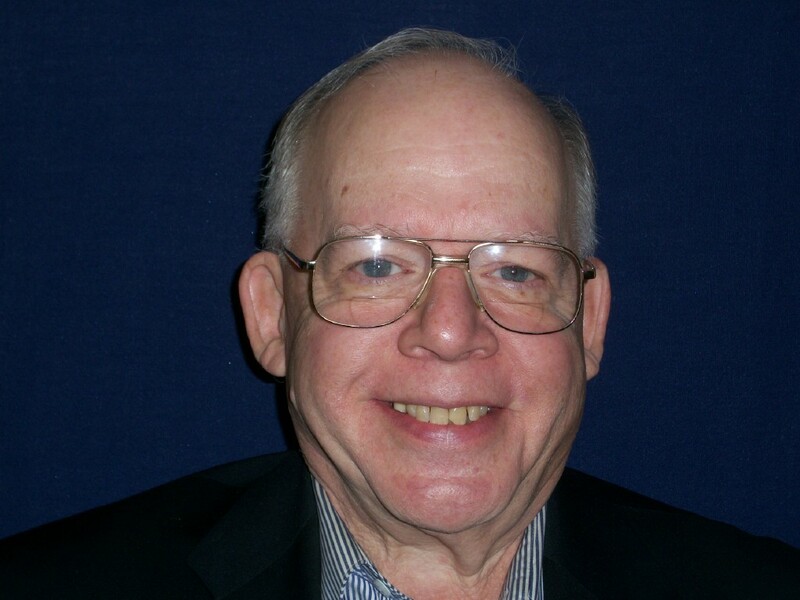 William Huntington has 35 years of military & civilian intelligence experience. He has a broad background in analysis, collection management & operations. He retired from the Defense Intelligence Agency as Deputy Director. In his 28 years as an Air Force Reserve Officer, Col. Huntington served as an intelligence officer in a variety of organizations including the Strategic Air Command; SOUTHCOM; the Air Staff; and as the Air Force Reserve’s component commander for the Defense Technology and Security Administration. Ron Marks served in the CIA as an analyst & a clandestine service case officer, including tours as a Senate Congressional Liaison officer; Special Assistant to the ADCI for Military Support; & senior Budget Director at the National Reconnaissance Office. In the U.S. Senate, he was Intelligence Counsel to Majority Leaders Bob Dole and Trent Lott. Mr. Marks is an Adjunct Professor at the National Defense University & a Senior Fellow at the George Washington University Homeland Security Policy Institute. Anne Daugherty Miles spent 20 years as an officer in the Air Force, retiring in 2000. Dr. Miles has been a faculty member at the U.S. Air Force Academy, the National Defense Intelligence College (formerly JMIC), the National Geospatial-Intelligence Agency (NGA) and St. Mary’s College of Maryland. She recently concluded an APSA congressional fellowship year on the House Armed Services Committee. 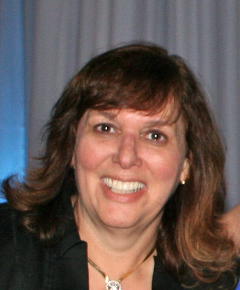 She has written several articles about the U.S. national security policy process, including an assessment of Congress’s oversight role in the creation of NIMA, later NGA. Robert Mirabello has 28 years’ experience in military and civilian education and training; program and curriculum development; execution and evaluation; war gaming, simulation; and experiential education design and implementation. From 1990-2007, Mr. Mirabello held several positions at the National Defense Intelligence College, including Director of Joint Professional Military Training, Department Chair, and Dean; and Chairman, Department of Intelligence and National Security. From 1985-1990, he oversaw over 450 field grade students, faculty and staff at the Joint Forces Staff College, National Defense University. From 1971-1985, Mr Mirabello served in the Air Force, including combat tours in Southeast Asia. John Moore is a specialist on the Middle East, with over 30 years of analytic intelligence experience in that region, including service as DIA’s senior expert on the Middle East, South Asia and Terrorism. Mr. Moore served with the 18th Airborne Corps and the 5th Special Forces Group in Vietnam during 1960s. In addition to being a faculty member of the Intelligence & Security Academy, Mr. Moore works as an independent consultant on the Middle East for the US Government, private firms and international organizations. Mr. Moore was a witness at the International Court of Justice testifying for the United States against the Islamic Republic of Iran in 2003. He has also written and lectured on the region for the Washington Institute for Near East Policy and the Middle East Institute and also serves on the Board of Advisory Editors of the Middle East Journal. Anthony Nelson has wide ranging national security experience. He spent 20 years as an Army artillery officer, including two tours in Viet Nam and service as a Foreign Area Officer for South Asia. He then joined DIA, where he established the Counterterrorist analytic element and the Global Analysis Division focusing on transnational issues (terrorism, narcotics, weapons and money transfers). Mr. Nelson managed DIA’s imagery analysis office, served as DIA Representative to US Central Command, and served as the Deputy to the Director of Intelligence Production, Defense Intelligence Agency. His long experience as an intelligence officer includes counter-terrorism and regional specialties in Asia and the Middle East. 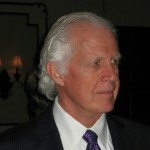 William Nolte is a 30 year veteran of the U.S. Intelligence Community. His service at NSA included tours as SIGINT National Intelligence Officer (NIO) for Near East/South Asia; Senior Intelligence Adviser; Chief, Legislative Affairs; and Director of Education and Training. Dr. Nolte also had several senior assignments at the National Intelligence Council: Deputy NIO for Near East/South Asia and Director for Outreach and Strategic Planning; and in Intelligence Community management, serving as Deputy Assistant Director of Central Intelligence for Analysis & Production; and Assistant Deputy Director of National Intelligence and Chancellor, National Intelligence University. He is currently Research Professor and Director, Program for Intelligence Research and Education School of Public Policy, University of Maryland. Kathleen Reilly was a professional staff member of the House Permanent Select Committee on Intelligence (HPSCI) from 2001-2009. She has been the principal staffer for all aspects of the CIA program (budget and operations) and has previously monitored the Military Intelligence Program (MIP). She also served as an assigned staff member on the House Appropriations Committee’s Select Intelligence Oversight Panel (SIOP), which coordinates between authorizers and appropriators. She has also served in the U.S. Navy on active duty and, presently, in the Reserves. Her Navy assignments have included electronic warfare, anti-submarine operations, counternarcotics and logistics. Ms. Reilly was in the first group of three women to perform aerial Intelligence Surveillance & Reconnaissance operations for the Navy in Desert Shield/Storm and was personally hand selected by Secretary of Defense for first-ever assignment of women destined to combat operations afloat (SECDEF waiver before Combat Exclusion). In 2008, she was selected as the Navy Reserves’ Top Sailor of the Year. Rhea Siers retired as a member of the Defense Intelligence Senior Executive Service after over thirty years at the National Security Agency (NSA) and is currently the Scholar In Residence at the George Washington University Homeland Security Policy Institute. Ms. Siers served in a variety of operational, legal, and policy positions dealing with some of the most critical issues facing the U.S. Intelligence Community including cyber operations, information sharing, sharing, counterterrorism and counterintelligence. She served as NSA’s senior representative to the FBI, as well as NSA’s Deputy Associate Director for Policy, led operational and intelligence production as a senior manager, and served in the NSA Office of General Counsel. Ms. Siers is a member of the adjunct faculty of George Washington University where she teaches courses on Counterterrorism Policy, Middle East Intelligence, Intelligence Oversight, Intelligence Operations and Transnational Security issues. Dan Spohn spent 20 years in the intelligence community directing strategic targeting activities and supporting the weapons development and policy offices in the Defense Department, particularly those related to nuclear activities and counterproliferation. 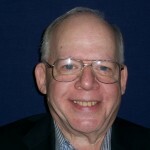 Mr. Spohn is a physicist specializing in nuclear weapons effects. He has extensive experience in the laboratory environment simulating the effects of nuclear weapons and hardening military equipment. Before retiring from the Defense Intelligence Agency in 2000 he held the position of Deputy Director for Policy Support, with responsibility for intelligence support to the Office of the Secretary of Defense, DIA participation in National Intelligence Estimates, foreign intelligence exchanges and special access programs. Thomas G. Troy, Jr. served in the U.S. Navy, retiring as a Commander. His service included tours of duty on an aircraft carrier, three tank landing ships, two destroyers and a helicopter assault ship. From 1969 to 1970 he served in Vietnam on the Mekong River with the River Patrol Force (the Brown Water Navy). After retiring from active duty, he served in the private sector and in several operations research positions at the Defense Mapping Agency & the National Geospatial-Intelligence Agency. 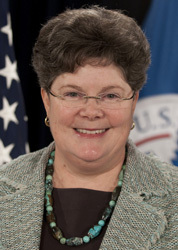 Caryn Wagner served as the Undersecretary for Intelligence and Analysis in the Department of Homeland Security from February 2010 to December 2012. Immediately prior to her confirmation, Ms. Wagner served on the Intelligence agency review team of the Obama-Biden Transition Project and as an instructor for The Intelligence and Security Academy, LLC. She served two tours on the staff of the House Permanent Select Committee on Intelligence (HPSCI), most recently as budget director. She also served as staff director of the Technical and Tactical Intelligence Subcommittee, and as a member of the program and budget authorization staff. Prior to returning to the HPSCI in 2007, Ms. Wagner served as an Assistant Deputy Director of National Intelligence for Management and the first Chief Financial Officer for the National Intelligence Program (NIP). Previously, she was the Executive Director for Intelligence Community Affairs (also known as Director of the Community Management Staff) from April 2004 until May 2005. Ms. Wagner came to community management from the Defense Intelligence Agency, where she served in several senior positions. Sign up to receive announcements of new and upcoming courses and other occasional news. © 2005 - 2015 The Intelligence & Security Academy. All rights reserved. Website design by Big Big Design.